Product prices and availability are accurate as of 2019-04-17 10:48:42 UTC and are subject to change. Any price and availability information displayed on http://www.amazon.com/ at the time of purchase will apply to the purchase of this product. 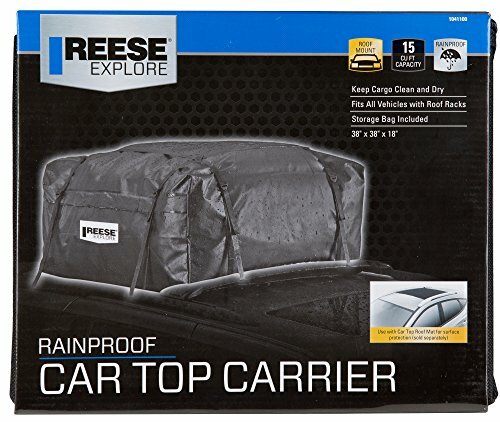 The high-capacity REESE Explore Car Top Carrier frees up space in your vehicle with 15 cubic feet of rooftop storage and is ideal for packing luggage, gear and equipment. Made from a premium-quality, rainproof material with sonically welded seams, it keeps cargo dry, clean, and protected. 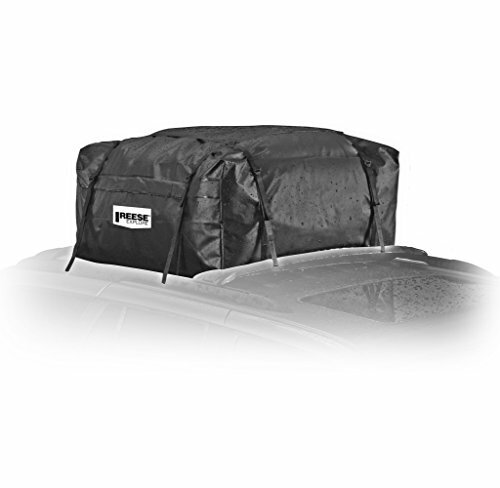 This durable bag fits on most roof racks, rasied side rails or crossbars on a variety of cars, trucks, SUVs, vans and other large vehicles and easily attaches using the adjustable securing straps. Whenever you’re ready for an adventure, this smart storage solution is perfect for camping, road trips, outdoor activities and other excursions. 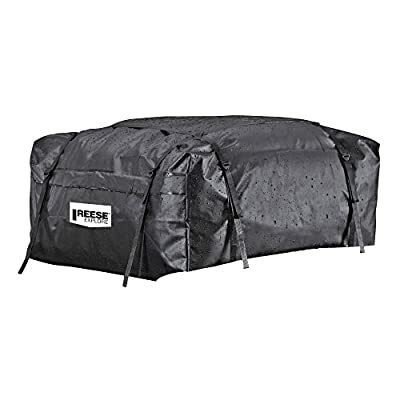 In between uses, the soft, collapsible carrier can be folded and packed away using the included storage bag for convenient storage and protection.